It was by chance that I picked up a copy of Carlo Collodi’s Pinocchio. A recent edition published by New York Review of Books was shelved in the adult section of the bookstore, a place I didn’t expect it to be. At first the haunting cover image, a close-up of a tree with wide-open, wet eyes, caught my attention, but it was the introduction from Umberto Eco and afterword by Rebecca West that made me linger. These two celebrated writers promised the mature analysis I would need after finishing a book known to me as story for children. Luckily, I wasn’t familiar with Disney’s film adaptation, nor had I read its numerous variations. I was coming to it with the barest of information: wooden puppet wants to be a real boy; talking cricket named Jiminy; old man named Geppetto; nose grows when Pinocchio lies. As it turns out, Pinocchio’s longing to be human is not as prominent in the original, his nose is barely mentioned, and Jiminy Cricket is a near fabrication. In fact, the truth about Jiminy Cricket is a perfect example of why reading, or revisiting, children’s books when you’re older can be so much fun. At these last words, Pinocchio jumped up in a rage, grabbed a wooden mallet from the workbench, and flung it at the Talking Cricket. Perhaps he didn’t mean to hit him at all, but unfortunately he hit him square on the head. With his last breath the poor Cricket cried cree-cree-cree and then died on the spot, stuck to the wall. At the time of Collodi’s writing–Pinocchio was serialized from 1881 to 1883–children’s books were a new genre. In her afterword, Rebecca West says, “Children’s literature was an innovation in nineteenth-century Italy (and elsewhere).” This alone would explain why Pinocchio feels more like a story with a child at its center rather than a children’s story. While children’s authors today have a lineage to look to for guidance, Collodi was without a bookshelf to reference. Instead, as West points out, among his influences were Dante’s Divine Comedy, Homer’s Odyssey, and Virgil’s epic poem, the Aeneid. We owe the slimness of the book to the Tuscan novella and Boccaccio’s Decameron, with which Collodi would have been familiar. Also an influence, according to West, was Celtic and Nordic mythology, playing a hand in Pinocchio’s “magical vegetation,” which gave Collodi the idea for a boy carved from a tree. “It must be said first,” says Umberto Eco in his introduction, “that, though written in the nineteenth century, the original Pinocchio remains as readable as if it had been written in the twenty-first, so limpid and simple in its prose–and so musical in its simplicity.” Although the story breezes along, thanks to quick sentences, urgent dialogue, and short chapters, the story itself gives readers much to think about, as Eco acknowledges: “though it’s written in simple language, Pinocchio is not a simple book. … [it] doesn’t limit itself to one simple, basic moral, but rather deals with many.” A bildungsroman, he calls it: a novel about the moral and psychological growth of the main character. Pinocchio, although wooden, is very much a boy and now that he’s been let loose in the world, he must learn to behave. But, like most 6 and 7-year olds, Pinocchio is unruly. In addition to murdering the cricket who, from thereon in, appears as a ghost, Pinocchio has no sense of right and wrong; he has a profound lack of empathy and about as much willpower as his fleshy counterpart. One of Pinocchio’s major failings is his aversion to school. Although Geppetto demands he go, even sacrificing his last coins for a text book, Pinocchio is easily distracted and lured into harmful situations. Two characters who pull Pinocchio away time and again are a pair of greedy creatures hoping to steal what few cents the boy has. In turn, it’s Pinocchio’s own greed and ignorance that gets in the way of his making good decisions. When Collodi was writing, Italy was in the midst of political upheaval. He had allied himself with the Republicans–those fighting against the Monarchy for a unified country. After unification, and before Collodi wrote Pinocchio, the school system was restructured. The process was not without many heated debates. During this time Collodi made a name for himself writing pedagogical tracts. Ultimately, Pinocchio learns to control his impulses and, as is suiting to a bildungsroman, shows moral and intellectual growth. But while the story comes to a close, in the mind of a careful reader it doesn’t end on the last page. The great triumph of Pinocchio is that it doesn’t give you answers, only questions. In this way, Collodi is still teaching. Although touted as a children’s book, Pinocchio leaves you with big, enduring issues rumbling around in your head: freedom vs. authoritarianism, what does youth owe society’s elders, what system of education is most effective, and how should we approach adolescent development. Anyone interested in the role of education and a child’s place in society will be well-served to read or reread this timeless classic. To celebrate the American Library Association’s annual Banned Books Week here’s a review of an often challenged book. I was not surprised when I saw James and the Giant Peach on the 100 Most Frequently Challenged Books list compiled by the American Library Association. 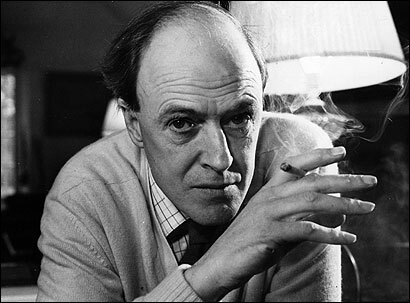 I’d never read Roald Dahl as a kid, not even Charlie and the Chocolate Factory although I’d seen the movie. 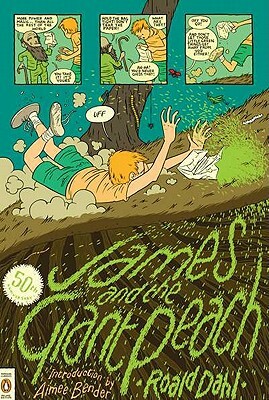 That all changed this August when Penguin reissued James and the Giant Peach as a Graphic Classic Deluxe. With a great illustrated cover by comics artist Jordan Crane and introduction from author Aimee Bender, I couldn’t resist. In her recent New York Times essay about children’s book, The Children’s Authors Who Broke the Rules, Pamela Paul discussed how the now much-lauded books of Maurice Sendak, Shel Silverstein, and Dr. Seuss were once deemed inappropriate for kids. All three authors challenged the status quo: the notion that children’s books were to teach children how to behave, not to portray them as how they actually were—rebellious, insolent, and rowdy. A familiar trope often repeated to children is “respect your elders” and this was what was reinforced by their literature. While most of the time it’s good advice, there are exceptions to the rule. Not that kids should disrespect adults but not all adults are not worthy of deference. When I began James and the Giant Peach I was horrified by James’s two aunts. He’d come to live with them after his parents were eaten by a rhinoceros while shopping on the streets of London—also horrifying. In no modern society would his aunts be considered fit guardians. They were undeniably abusive: they forced James into manual labor beyond what was appropriate for his age, threatened to beat him, isolated him from others, called him names, and, it appears, often neglected to feed him. The first few chapters are painful to read and will undoubtedly cause a sensitive reader to cry out in desperation for James stand up for himself. It’s when, as Pamela Paul would say, James breaks with convention and runs away to the far end of the garden to console himself that he’s given magic seed-like things by a peculiar old man. He’s told that if he follows the instructions for preparation and swallows the seeds in one gulp “fabulous, unbelievable things” will happen and he’ll never be miserable again. However, we never find out what would have happened if James drank the odd, magic seeds because, as Aimee describes in her introduction, in “an almost slapstick move whereby he trips, Buster Keaton-like,” he drops the seeds and they sink into the dirt at the foot of a fruit tree. Instead, what comes of the misstep is a trans-Atlantic journey in a giant peach with life-size insects. With this turn of events, Dahl adds a twist to the classic fairy tale quest. James ultimately goes on an adventure but it’s not the one initially intended and not one of his own making. It’s a story of mishaps, coming into one’s own, developing confidence, and finding a group that appreciates you for who you are or, as Aimee eloquently puts it: it’s a story of “transformation of small things into large, of a helpless child into someone with power and agency”. These larger themes, stemming from dark beginnings, make James and the Giant Peach a great book for both middle grade readers and adults—and an even better one if the two can share in it together.